Bringing you a slice of ancient Norway. 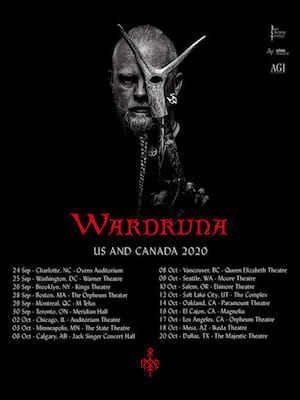 Norweigan Nordic-Folk group Wardruna are returning to North America this year for a six-concert tour this September! Priding themselves on being a traditional folk group, Wardruna use the oldest Nordic instruments along with traditional poetry rhythms, Nordic language and ancient Norweigan tongues to create entrancing and atmospheric music. 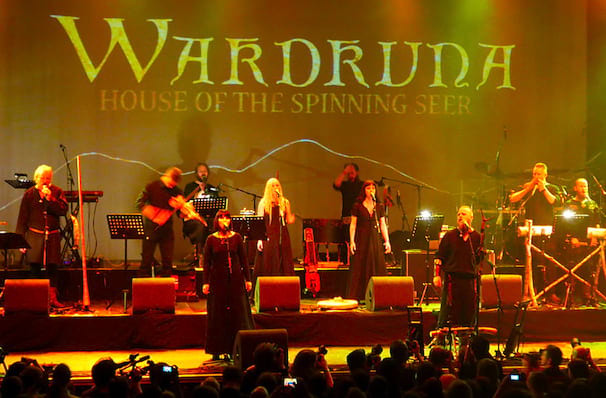 First forming in 2009, Wardruna have been honing their sound, band formation and live shows since. After three years in the making, Wardruna now return to the States with the second album from their 'Runaljod' trilogy, 'Yggdrasil'. Gaining inspiration from traditional folklore, Wardruna bring you more, but not the same, ethereal and transcending compositions. Be transported back to ancient Norway and become immersed in its magical culture. Seen Wardruna? Loved it? Hated it? Sound good to you? Share this page on social media and let your friends know about Wardruna at Boulder Theater. Please note: The term Boulder Theater and/or Wardruna as well as all associated graphics, logos, and/or other trademarks, tradenames or copyrights are the property of the Boulder Theater and/or Wardruna and are used herein for factual descriptive purposes only. We are in no way associated with or authorized by the Boulder Theater and/or Wardruna and neither that entity nor any of its affiliates have licensed or endorsed us to sell tickets, goods and or services in conjunction with their events.